A logger of rainforest hardwood in Madjoko, Bandundu, Democratic Republic of the Congo, January 29, 2007. 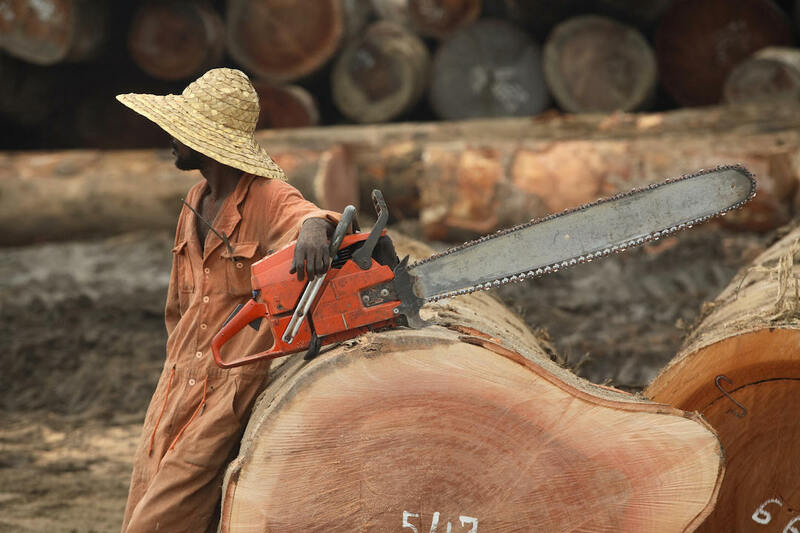 In this episode, award-winning Shanghai-based environmental journalist Shi Yi joins Eric and Cobus to discuss the emerging crisis over the illegal trade of Congolese bloodwood. She recently reported on how surging demand in China is fueling widespread illegal logging in the Democratic Republic of Congo (D.R.C.). Given the poverty and widespread corruption in the D.R.C., can anything really be done to protect the country’s wildlife and rain forests? What responsibility do Chinese consumers have about their preference for Congolese bloodwood?